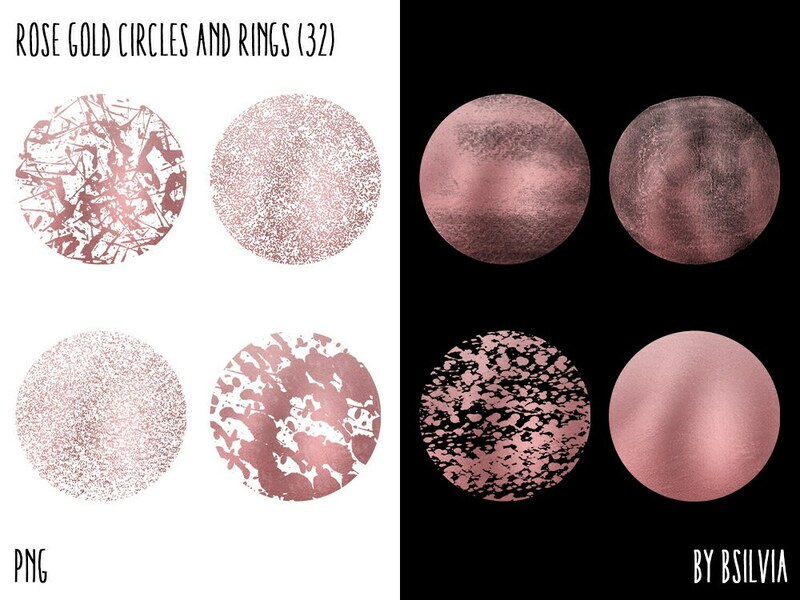 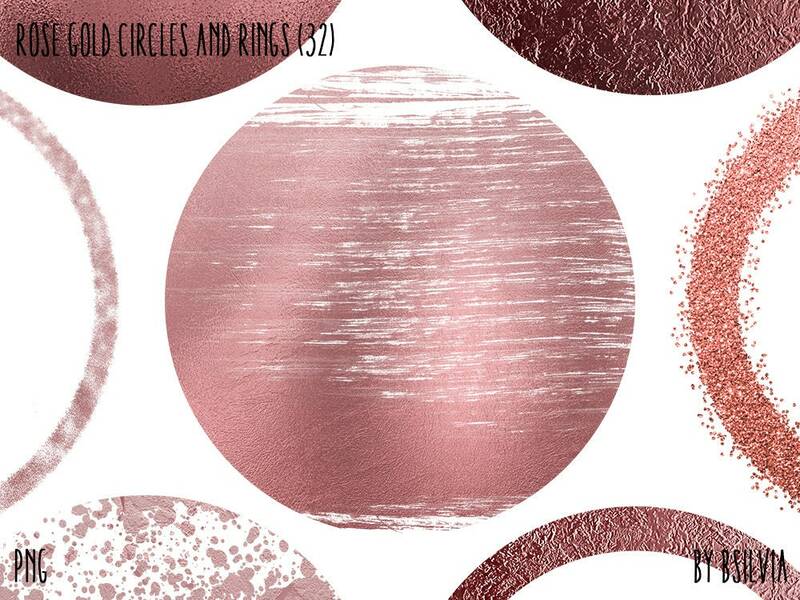 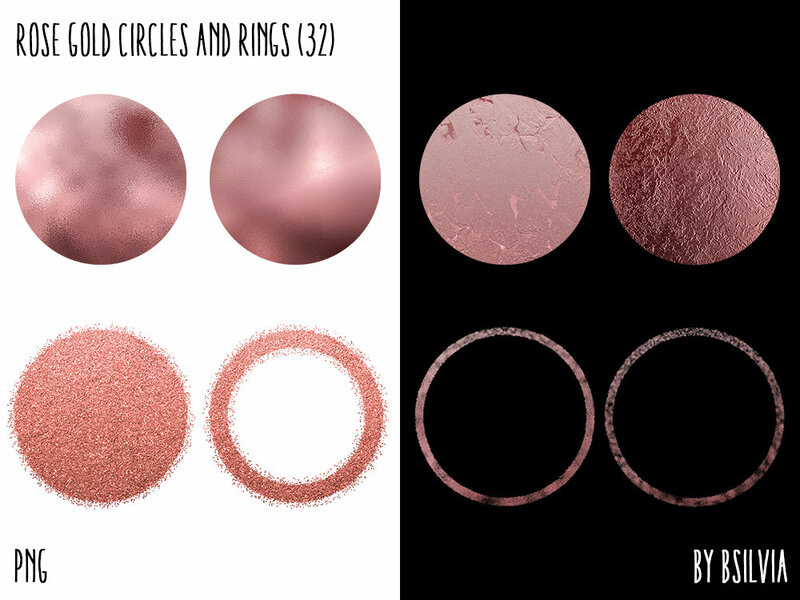 Rose Gold Circles and Rings contains 32 circle and ring shapes with rose gold foil and rose gold glitter - transparent PNG overlays. 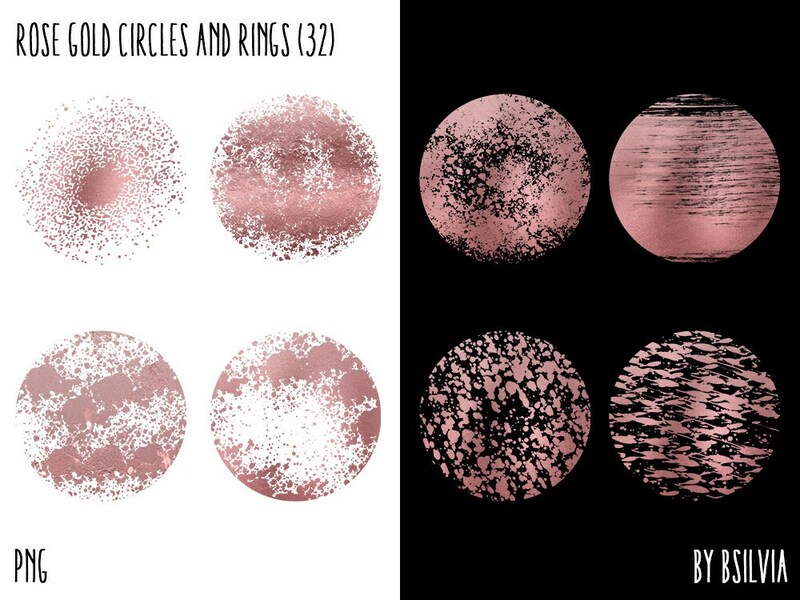 Perfect to use for designing wedding invitations, party crafting and more. 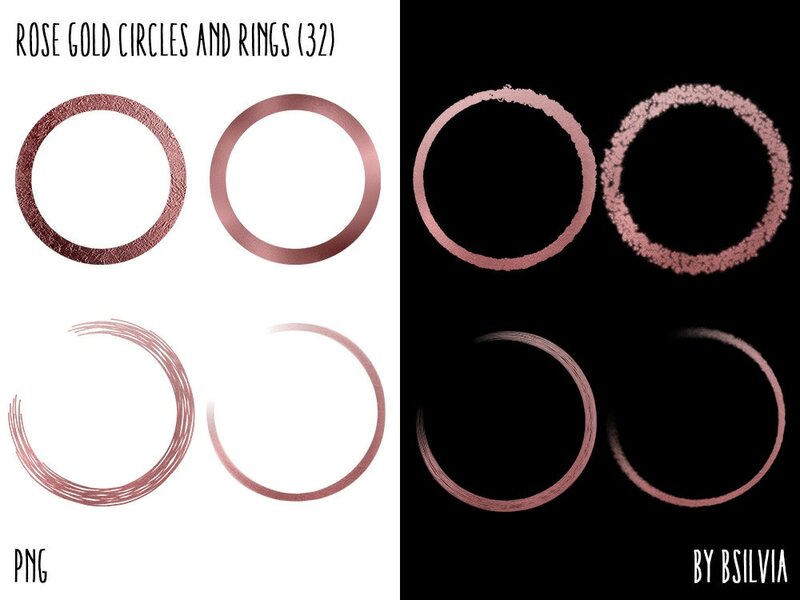 Size from 3.9" to 4.2"